In a recent paper in the Journal of Environmental Pollution, researchers from Macquarie University in Sydney, Australia describe a new accurate, rapid and inexpensive method for assessing metal-contaminated sites. The paper describes the results of in-field trials of the new method and comparison of it to lab results. 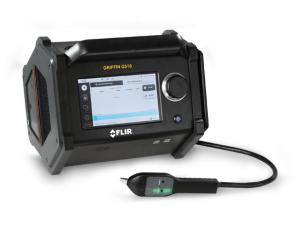 The new method uses a combination of portable X-ray Fluorescence technology (pXRF) – a popular on-site contamination-measuring system – with conventional laboratory analysis to accurately measure the extent and distribution of metal contamination at a site. “Metal-contaminated sites are often haphazard when it comes to the distribution of metal contaminants, making it problematic for investigators when they are limited by the costs associated with analyzing a large number of samples in the lab. As such, investigators are expected to attempt to characterize contaminated sites with a limited number of laboratory measurements to save on costs,” said lead author Marek Rouillon. “On the other hand, when investigators are free to take a large number of measurements to determine the contamination at a site, they gain a greater understanding of the extent and distribution of the contamination, therefore lowering the risk of site misclassification,” Rouillon added. 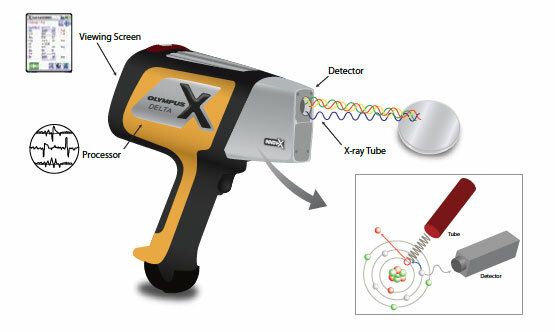 As a result, the researchers wanted to develop a way to measure more samples using a rapid on-site measurement method that produced results in an accurate and more cost effective manner than current techniques allowed. “To achieve this, we decided to integrate the advantages of in-situ pXRF, an inexpensive measurement method that can be done on-site allowing investigators to collect real-time data, with the more thorough laboratory analysis technique of ICP–MS,” explained Rouillon. The study, described in the Journal article, demonstrated that 20 second in-situ pXRF measurements can be corrected to align with a small subset of ICP–MS data, allowing for the accurate, rapid and inexpensive high resolution characterization of metal-contaminated sites. The researchers found that sampling (not analysis) contributes the greatest uncertainty towards measurements, and should be estimated at each metal-contaminated site. The researchers emphasize that the new method has several benefits including superior site characterization, greater soil-mapping resolution, reduced uncertainty around the site mean and reduced sampling uncertainty. “Our in-situ pXRF/ICP–MS method not only generates superior site assessment information for more confident decision making, but is less expensive when compared to the current standard practice of merely sampling and off-site laboratory measurements,” concluded Professor Rouillon. Future Market Insights (FMI), is a market intelligence and consulting firm, recently issued a forecast report for the chemical detection equipment market. In the view of FMI, a new era of chemical warfare and increased man-made threats is on the rise with the potential to cause harm. The need for rapid identification of chemical or biological agents involved in any hazardous materials (Hazmat) is necessary to prevent incidents. 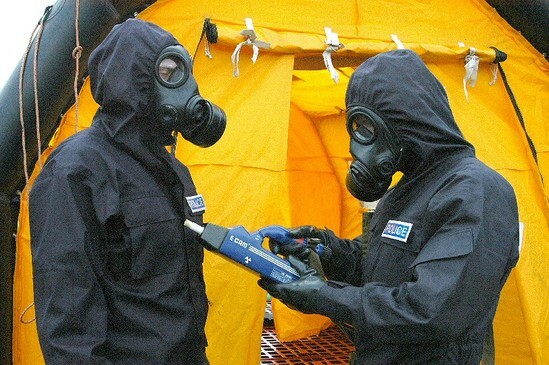 Chemical detection equipment are generally used to identify the presence and intensity of chemical agents in soil, air as well as water and to alert respective authorities and personnel to the existence of toxic or hazardous substances, so necessary action can be taken to prevent catastrophes, as it can be dangerous whether it is in a weaponized or non-weaponized form. Testing for the presence of these materials is necessary for production sites/industrial areas and exposed areas to prevent any incident. Incidents from the past have resulted in the chemical industry to utilize reliable and high quality chemical equipment for monitoring of chemical plants and industries, hence increasing the demand for chemical detection equipment. Rising threats from terrorist organizations have forced countries to use chemical detection equipment in all important sites, such as the airport, water distribution plant, nuclear power plant, tourist places and many other critical infrastructure facilities for the purpose of public safety. Chemical detection equipment is also used in facilities like nuclear power plant, chemical production facilities and various other industries to identify the presence and intensity of Radiation & chemical agents in soil, air as well as water. Growth in the chemical detection equipment market is mainly due to an increase in terrorist threats, as well as increasing safety regulations. The increase in production of hazardous materials for industrial applications has also increased the level of threat, due to accidents or misuse by terrorists. Strict laws for buying and selling of hazardous chemicals and increased activities by law enforcements and safety and security administrations has led to growth of the chemical detection equipment market. Awareness among people and stringent government regulations has created immense pressure on corporates to keep chemical detection equipment at their sites to ensure safety of the workforce. As a result, usage of chemical detection equipment in many industries has consequently surged its demand globally. On the other hand, the high price of this equipment and high operating cost (cost of the chemicals used in making detection equipment) are restraints to the growth of the global chemical detection equipment market. Among the chemical detection equipment available in the market, equipment that is small, effective, simple and relatively cheap are in trend and hold the maximum market share. Portable chemical detection equipment with infrared technology & Raman spectroscopy has already captured a major market share due to the above stated reasons. North America is a major market for chemical detection equipment as continuous research and development is required in this field and the United States is a leader in the R&D of chemical detection technology. The increase in terrorist threats and incidents related to chemicals in recent years has garnered much attention from people and governments all over the world. The countries affected by terrorism are major markets for chemical detection equipment, such as India, the United Kingdom, Iraq, Afghanistan, etc. The United States Pipeline and Hazardous Materials Safety Administration (PHMSA) recently announced it was providing more than $4 million (U.S.) in grants to Hazardous Materials Instructor Training (HMIT) and Supplemental Public Sector Training (SPST). The HMIT grants fund the training of instructors who then train private-sector hazardous materials employees. The SPST grant funds national non-profit fire service organizations to train instructors to conduct hazardous materials response training programs for local responders. For 2017, one national non-profit fire service organization, the International Association of Fire Fighters was awarded a grant of $931,000. 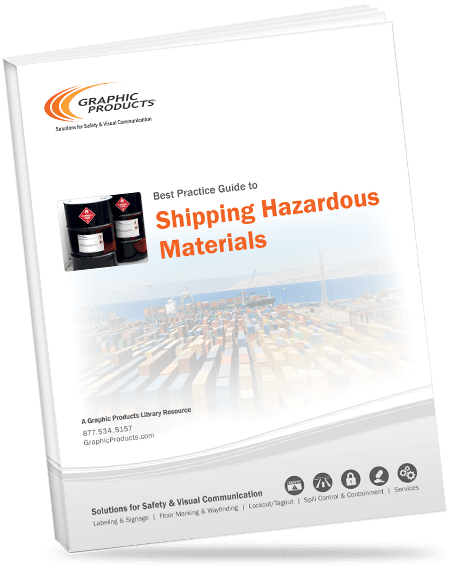 Graphic Products, Inc. recently made available a new guide, Best Practice Guide to Shipping Hazardous Materials that helps convey the basics of hazardous material regulation. From dry cleaners to heavy manufacturers, businesses that create waste must report loads they ship. It requires careful work to keep shipments safe and to protect the neighborhoods and environments these hazardous wastes pass through. Explain shipping papers and recordkeeping requirements. Readers of the Guide will see what each classification means, and how marking and documentation requirements interact. Readers will also understand the overlaps between the the U.S. Department of Transportation rules and other chemical labeling systems, like GHS and HazCom 2012. This guide will help you comply with the law, and make your shipments safer. Are North American Hazmat Truckloads Safe? This past summer, commercial motor vehicle enforcement personnel in Canada and the United States conducted more than 62,000 driver and vehicle safety inspections on large trucks and buses during the Commercial Vehicle Safety Alliance’s (CVSA) 30th annual International Roadcheck. 19.4 percent of commercial motor vehicles inspected (Level I, II or III Inspections) were placed out of service. 4.7 percent of all drivers inspected (Level I, II, and III Inspections) were placed out of service. 7,713 inspections were conducted in Canada; 54,300 were conducted in the United States. International Roadcheck is a three-day enforcement event when CVSA-certified inspectors conduct high-volume, large-scale, high-visibility roadside inspections of large trucks and buses. Commercial motor vehicles and their drivers were checked at inspection sites, weigh stations and roving patrol locations along roadways in North America throughout the 72-hour enforcement initiative. Of the 2,267 vehicles carrying hazardous materials/dangerous goods that received a Level I Inspection, 12.8 percent were placed out of service for vehicle-related violations. 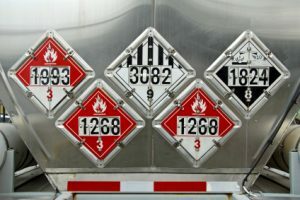 The top three vehicle violations related to the transportation of hazardous materials/dangerous goods were for loading and securement (40.4 percent of all out-of-service hazardous materials/dangerous goods violations), shipping papers (22.7 percent) and placarding (20.8 percent). Of the drivers inspected that were carrying hazmat loads, 1.9 percent were placed out of service for driver-related violations. The top three driver-related violations were for hours of service (32.3 percent of driver out-of-service violations), wrong class license (14.9 percent) and false log book (11.3 percent). Each year, International Roadcheck places special emphasis on a category of violations. This year’s focus was cargo securement. While checking for compliance with safe cargo securement regulations is always part of roadside inspections, CVSA highlighted proper cargo securement this year as a reminder of its importance. Cargo securement violations (not including hazardous materials/dangerous goods loading/securement) represented 15.7 percent of all vehicles out of service violations during 2017 International Roadcheck. http://hazmatmag.com/wp-content/uploads/2017/08/hazmat-trucking-regulations.jpg 283 424 hazzmatt1 http://hazmatmag.com/wp-content/uploads/2017/01/hazmat-logo.jpg hazzmatt12017-08-30 09:28:222017-08-30 09:28:22Are North American Hazmat Truckloads Safe? Have you “PRIMED” Your First Responders? Regardless of your occupational specialty – environmental professional, facility safety expert, military or first responder – YOU’VE BEEN THERE. Yeah, you’ve been at that incident where the hair stood up on the back of your neck. The one where you thanked fate it was just a “close call” and nothing more. What are you doing within your organization to learn from these incidents? How are you equipping your personnel with critical tools to respond more effectively and safely? More critically, what training are you giving them to utilize the most important tool –their BRAIN? Chemical, biological, radiological, nuclear and explosives (CBRNE) emergencies can be huge, overwhelming, complicated and full of unknowns. Since we can’t have a specific SOP for every event, it’s common for the responder to regress under stress. In many cases, that means retreating from what we know best. Often, this yields disorganized, unsuccessful outcomes. Same bad habits –same failed results. Experience is critical, but it must adapt to tested street truths. It is critical that we not only learn from our past incidents, but from each other. FLIR Systems recently introduced FLIR PRIMED – a one-stop resource for response professionals. FLIR PRIMED strives to deliver informative and useable information in the form of a video-series that includes techniques, tools, and checklists based on best practices. What does PRIMED stand for? Prepare – Much of the battle is fought before you arrive on the scene of an emergency. Are you training your personnel for success? Use tested truth and then practice, review, modify and do it again…until it becomes a HABIT. Recognize –All events have certain patterns. Early recognition of the “Big Picture” is acritical step. Utilizing available systems and tools helps us to avoid command “vapor lock” or overload confusion. Input –Some decisions can be made initially, but the use of field checklists can assist in the orderly and thorough analysis of available on-scene “Cues and Clues.” You might not be able to identify a specific threat, but thegoal should be tosee it within a family of possibilities and rule out what it’s not. I call the later “RIO” orRule it Out. Monitor – Monitors are often used as presumptive tools. They should be seen as part of the total picture. They are important, but your brain is the best tool. Experience –Experience is a double-edged sword. If it’s not nurtured and updated by improved response effectiveness, it can reinforce bad habits that lock us into a pattern of mistakes. Decision –Successful decision-making requires good information and competent use of available tools and equipment. But make no mistake; decisions are ultimately made by humans -not equipment or procedures. Instill a “Learning Attitude” with those personnel likely be the first to respond. Make it a daily event. Learn tips from others or through resources like FLIR PRIMED. Utilize your Hazmat Technicians to develop and deliver lessons, strengthening the bond of trust between your experts and the first responders. 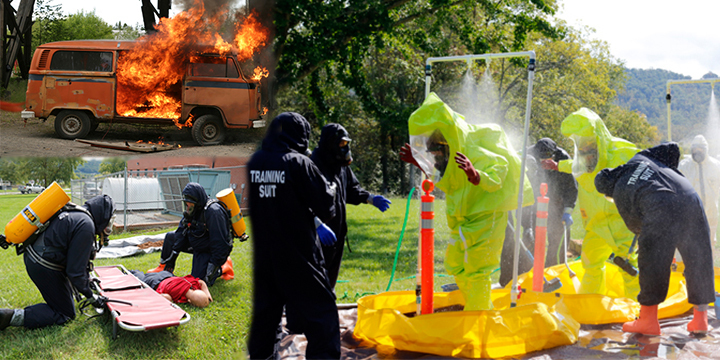 Because CBRNE events are atypical and infrequent, training must take place more often. It should also highlight the mastery of concepts like, “turn it on and put it on.” Personal Radiation Detection (PRD) equipment is vital at a rad scene. Equip your first responders with good decision-making tools and education. Integrate with allied agencies NOW, not later. Effective coordination between multiple agencies at CBRNE incidents is critical, but often overlooked and can be the Achilles heel. Assemble your own field gu ides and checklists. These tools can help the IC avoid overload and assist them with important decision points. Don’t have any? Start with some FLIR PRIMED downloads and modify them as needed. Keep it simple! Use easily-remembered mantras like: “The 3 Cs” –Chemical, Container, Context. If you don’t, they won’t use them when pressured. The threat is there. Good tools are available. One of them is FLIR PRIMED. The video series delivers cutting-edge education and decision skills you can use right now. Each episode concludes with a downloadable field guide or checklist. 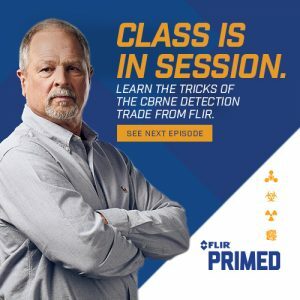 Check it out today a flir.com/primed. Grant Coffey is a retired Portland Fire & Rescue Hazmat Team Coordinator, College Fire Science Instructor, and CBRNE expert of nearly 40 years. He trains Fire, Police, Military and industry Hazmat Responders. He has NFPA certifications for Radiation Specialist and is a State of Oregon Radiation Safety Officer. He is also a Hazmat Specialist and Incident Safety officer and has experience in Emergency Manage ment and various other CBRNE Hazmat disciplines. http://hazmatmag.com/wp-content/uploads/2017/08/FLIR-Primed.jpg 500 500 hazzmatt1 http://hazmatmag.com/wp-content/uploads/2017/01/hazmat-logo.jpg hazzmatt12017-08-30 08:58:212017-08-30 08:58:21Have you “PRIMED” Your First Responders?